Nishi Shinjuku 5-Chome is a small residential district adjacent to Nishi Shinjuku. The area is full of high rise buildings and a mix of both residential and commercial use buildings. The atmosphere is loud and busy making it a very dynamic place to visit. Nishi Shinjuku 5-Chome is located west of the Nishi Shinjuku skyscraper district. It is very common for people to stay in hotels located in Nishi Shinjuku such as The Park Hyatt, The Hilton, and various other major hotel chains. The Park Hyatt was even used in the movie “Lost in Translation”. It is very easy for tourists to wander over and check out the closest thing they can get to a residential area. All you have to do is head west. 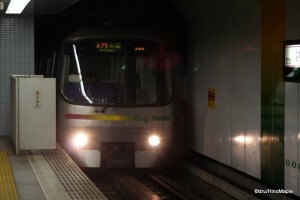 Once you pass Shinjuku Central Park, you are in the 5-Chome area. There aren’t really any landmarks in this area. Locating the exact area can be very difficult. 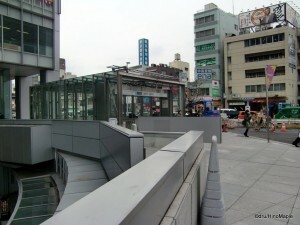 The best way to find the area is to find the station, Nishishinjuku Gochome. While that is easier said than done, another method to find the 5-Chome area is to just head west from any of the major hotels in the Nishi Shinjuku district. Once you see Shinjuku Central Park, you are almost there. It’s basically on the other side of the park. The most obvious “attraction” in the area would have to be the schools. This area is the central area for the TOHO group of schools. You can see various kids walking around at all hours. The main field of study for these schools is anything to do with entertainment. They teach everything there is to know about film, theatre, and music. From time to time, you can even see some of the school festivals where they sell various foods to eat. If you are lucky, you might be able to hear a free concert from within one of the school walls, but this is a very rare occasion. The main thing to do in Nishi Shinjuku 5-Chome is to eat. There are various restaurants that are good, and many that can satisfy you with a quick cheaper meal. There is a nice Okinawan restaurant that is more fusion than real Okinawan. The fusion style is less Western-Okinawan than Japanese-Okinawan. If you go at the right time, they have a happy hour where beer is pretty cheap. It’s also the only place in the area with seats outside. It’s common for people in the middle of summer to buy a scoop of ice cream and enjoy it while the world passes by in front of them. They sell the famous Blue Seal ice cream brand and you can get Orion beer, which are both famous in Okinawa. If you are looking for good pasta, there is a good place to eat called Popolare. It’s extremely hard to find if you don’t know where to look. It’s behind one of the TOHO schools just past Yamate Street. Mostly locals visit this restaurant, but it has been getting more and more popular. It can be busy at times but the quality is generally good. It’s rare to see a line outside, so reservations aren’t always necessary, but if you have a group of over 4 people, you might want to think about a reservation. If you love the Beach Boys, you’ll also love this place as the chef/owner always has it playing all the time. There are several other good restaurants in the area, but you do have to walk around to find them. The adjacent areas are also very close by, within a 10 minute walk, and worth a quick visit. The good thing about 5-Chome is that there are many fast food shops in the area so you are never far from food at any hour of the day. If you get hungry, and you are staying in the area, you can easily go out and get some snacks to satisfy your late night urges. If you have the energy, heading south will take you to Hatsudai or Tokyo Opera City. This is a nice area. The complex is hard to miss as it’s the tallest building in the area and a beacon in and of itself. Inside, there is a museum and a concert hall. Once, the annual Kohaku Concert was held there. The main public complex also holds a small shopping area. There aren’t many shops but there are a few restaurants as well. If you are lucky, you can also enjoy a nice festival, usually in the latter half of the year. Adjacent to the Tokyo Opera City complex is a small shopping street called Fudo Street. It’s a local only shopping street. 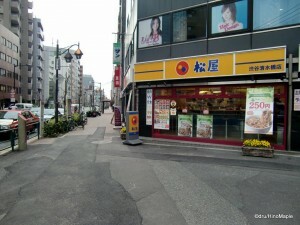 There are various small shops, but the main type of shop is ramen. 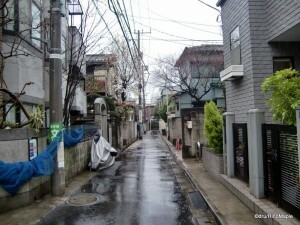 You can find a lot of good ramen shops on this street. The area is also known for some of its Indian or South-East Asian cuisine. It’s important to try it out if you have the time. 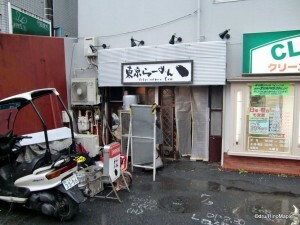 There are also a few izakaya in the area, but they tend to be for locals only. You can also cross the major highway to the south of Tokyo Opera City. This area is very similar in tone, but you start to head further and further away from 5-Chome. If you do have the energy to walk back to Shinjuku, you can always stop off at the Sword Museum which is a nice small museum. The cost to enter is not really worth it, but if you are very interested in seeing samurai swords and such, it’s worth a visit if you are in the area. It’s better to go to a major museum as they are only slightly more expensive, but they are at least three times bigger with more things to see. If you want to try another smaller area, there is Nakano Sakaue. It’s an area that’s about 15 minutes north of 5-Chome and just one stop down. It’s very similar to 5-Chome and Hatsudai, with the exception that it’s a little busier. It’s easier to find things in the area, and there are a few more restaurants that are delicious. If anything, the main reason to head this way is for the large bookstore and Daiso. Otherwise, it’s more interesting to head towards Hatsudai. If you live in the area, it’s great if you head towards the Kanda River. It’s a very small river that looks more like a concrete canal than anything else. It’s a great area to go running, but beware that major streets make it difficult to run completely at times. All in all, this area is great to visit. It isn’t really worth it when you are only visiting Tokyo, but if you are on your second or third trip with nothing new to see, it is fun to just pick a direction and head out that way. Many things are great to see a second time around, but heading to this area, especially if your hotel is around here, is worth a visit. This entry was posted in Tokyo and tagged Blue Seal, Blue Seal Ice Cream, Hatsudai, japan, Kanda River, Keio, Keio Line, Lost in Translation, Nakano, Nakano Sakaue, Nakano-ku, Nishi Shinjuku, Nishishinjuku, Oedo Line, Orion, Orion Beer, Park Hyatt, Shibuya, Shibuya-ku, Shinjuku, Shinjuku Central Park, Shinjuku Chuo Koen, Shinjuku-ku, Sword Museum, Toei, Toei Oedo Line, TOHO Gakuen, TOHO Schol, tokyo, Tokyo Opera City, Tokyo-to, 中野, 中野区, 中野坂上, 大江戸線, 新宿, 新宿中央公園, 新宿区, 日本, 東京, 東京都, 渋谷, 渋谷区, 神田川, 西新宿, 西新宿五丁目 by Dru. Bookmark the permalink.